Although beer tap rotation has become all the rage, hard evidence shows that accounts need to think more strategically about building a beer list by looking at what fits a consumer’s occasions, how much rotation (if any) is right for their account, and their demographic mix. As every retailer is aware, not every venue is the same, so why would you use the same product mix or variety strategy as other retailers? Rotating will be common in some places and nonexistent in others, depending on venue and clientele. While customers come to retail establishments for various occasions, a Nielsen/CGA survey of 5,000+ on-premises consumers found that 69% preferred roughly the same number of rotating and standard taps. That means that for many accounts, balance will be key. Consumers’ most preferred setup is one to 10 tap lines of both fixed and rotating. Quality is more important than price in driving the decision to drink craft (44% versus 33%; Nielsen/CGA). Once a consumer has decided on craft, quality of product (59%), style (48%), and brand reputation (31%) are the three most important influencers in brand choice for craft beer drinkers (Nielsen/CGA). 71% of consumers know which drink category they will choose before entering the account. Of those customers, 57% will stick to their favorite brands. For those without a drink category preference, price is the No. 1 purchase driver, with 43% of those who don’t know which category they will drink saying price is their decider (Nielsen/CGA). What Should Your Beer List Look Like? Today’s consumer clearly likes variety, but too many choices can result in confusion and reduced sales. 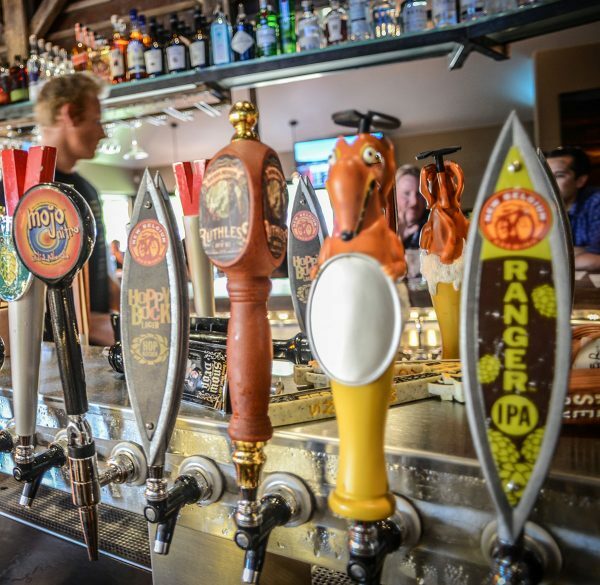 While research shows variety has grown in importance, having a combination (or limited number) of rotating taps, with a consistent mix of quality brands people want, will likely lead to stronger sales and happier, more regular customers. Not all accounts are the same, though; ultimately, you are the best judge of your clientele.